Looking for prompt and professional Bellingham well pump services? Contact the trusted professionals at Eagle Plumbing & Heating at (360) 318-9999. For savings on many of our valued services, click here. In the old days, people drew water from their wells using a bucket and pulley system. Thankfully, we have come a long way since then! Now, well pumps are used to bring water from a well and into your home. A well pump can supply water to your residence, and provide irrigation to the surrounding area. The majority of well pumps are electrically powered submersible pumps, which are connected to multiple stage systems. These are extremely popular for both residential and commercial use. It is important to have your well pump serviced regularly by a certified professional in order to ensure that it is functioning optimally. The skilled professionals at Eagle Plumbing & Heating offer specialized well pump services to the residents in and around Bellingham. If there is a problem we will find it, and take the necessary steps to resolve the situation. 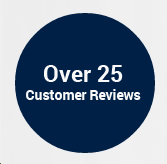 To see what other customers in your area are saying about our expert well pump services, click here. What are some common problems with well pumps? If you are having issues with well pump damage or failure, the cause may stem from any number of reasons. Well pumps are designed to have a robust lifespan of about 8 to 15 years, if properly maintained. However, even the strongest and most efficient pumps will eventually wear out. Additionally, if your well water has high levels of turbidity or sediment, your pump has a greater chance of becoming clogged or damaged. If your motor housing does not provide sufficient space for your pump to cool down it can also overheat. Other issues that can cause well pumps to malfunction include a failing relay switch or pressure gauge. Loss of power can create a temporary issue as well. If you are experiencing any problems with your well pump, get in touch with the certified professionals at Eagle Plumbing & Heating. Our knowledgeable team can decipher the issue and make the necessary changes to ensure that your pump is functioning properly once again. A pump is a necessary component of your well. Its principal function is collecting groundwater from outside sources, pumping the water through a multiple stage system, and then directing this water into your home. For property owners that use filtered groundwater as their main source for drinking, bathing, and irrigation an efficient and optimally functioning well pump is extremely important. A well pump carefully moves water through your plumbing system, which also helps to keep pipes from developing rust and unwanted sediment, reducing the risk of clogging. Well pumps help to keep your pipes in continuous working order and decrease the risk of extensive and costly repairs. Additionally, the utilization of a well pump can help you to avoid monthly bills associated with a municipal water supply. Proper maintenance can significantly extend the life of your well pump. The experts at Eagle Plumbing & Heating offer annual checkups to ensure that all parts of your well system are functioning properly. This allows our highly trained professionals to catch minor issues before they become more serious problems that could affect the quality of your water and damage your pump. For areas where high turbidity, mineral scale, or other local water issues are common, more frequent checkups are advisable. Water testing should be performed along with other maintenance procedures to monitor the quality of the water that is being pumped into your home. We can clear your well pump of any sludge, and then flush it to ensure that it is clean. Our professionals will also service your motor, making sure that it is properly oiled and tuned. If the water level in your well has changed we can reposition your pump accordingly. A cover can be placed on your pump as well to protect it from harsh temperatures during the winter. Filters can additionally be added to ensure that only the purest water is entering your home. For specialized well pump services in Bellingham and the surrounding areas, contact the skilled professionals at Eagle Plumbing & Heating. Give us a call today at (360) 318-9999.